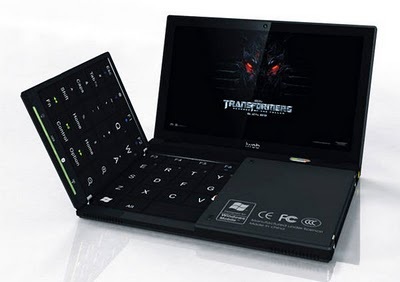 The designer Yang Yongchang imagined iWeb 2.0, a concept of netbooks with foldable keyboard that, once opened, has same dimensions as a normal keyboard, including all the keys necessary for a complete editing. In case the designer screen measures just 6.5 inches and 2.0 has capacitive touchscreen, the overall size of the device are therefore of only 160 x 106 x 18 mm. This entry was posted on July 16, 2010 at 5:59 am	and is filed under Laptops, Notebook Technology. Tagged: Concept Book, iWeb 2.0, Laptops, Notebook Technology. You can follow any responses to this entry through the RSS 2.0 feed. You can leave a response, or trackback from your own site.